In 1945, the Archangels materialised over the battlefields of Europe, ushering in a new Cold War. Fifty years later, they are being killed off… one by one. But who – or what – can kill an angel? Killarney is a shadow executive for the Bureau, British Intelligence’s most secret organisation: so secret it doesn’t even officially exist. She is the best – and she always works alone. Sent on a desperate mission to locate a missing cryptographer who may prove the key to the murders, Killarney finds herself running for her life, from London to Paris to Moscow, leading to a confrontation with a very human evil in the frozen wastelands of Novosibirsk. 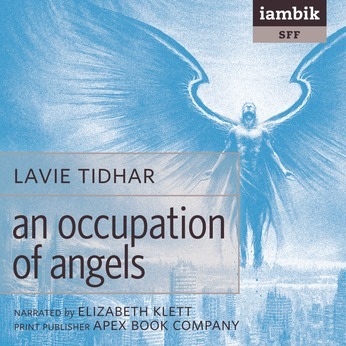 An audio book version of An Occupation of Angels was released in May 2011 by Iambik Audio, narrated by Elizabeth Klett. 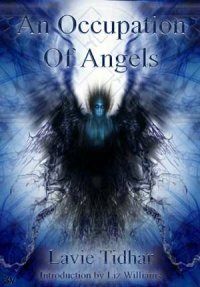 An Occupation of Angels was first published in the UK by Pendragon Press in Dec. 2005. It is now out of print.